Understanding and measuring women’s empowerment is a critical component of ensuring progress in achieving development outcomes. Yet for decades, work in this area lacked standards and consistent measurement tools, which made it impossible for researchers and implementers to share learning and track progress and impact. In 2012, the Women’s Empowerment in Agriculture Index, or WEAI, stepped into this void. Developed by researchers at the International Food Policy Research Institute (IFPRI) and colleagues at the US Agency for International Development and the Oxford Poverty and Human Development Initiative, it provided a framework for measuring, comparing, and tracking women’s empowerment. The tool is now in use in more than 50 countries worldwide. Yet as Frank Place, Director of the CGIAR Research Program on Policies, Institutes, and Markets (PIM) recently noted, “as with any innovation, there is no silver bullet.” WEAI did not work for every situation, and the original version, which researchers acknowledge was developed from a research perspective, rather than an implementation one, was cumbersome to use in project-level settings. 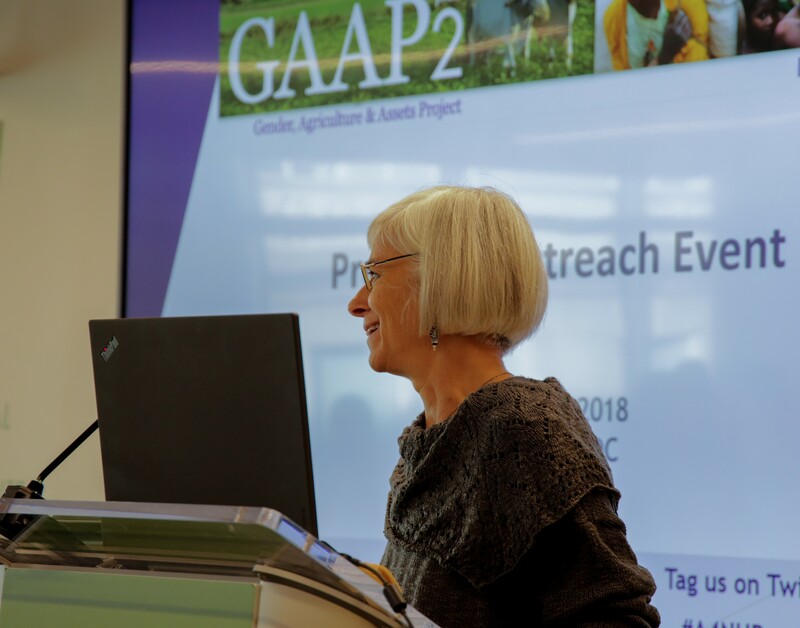 The IFPRI team responded to that feedback with the design of a new tool, the project-level Women’s Empowerment in Agriculture Index, or pro-WEAI. Pro-WEAI is intended to be leaner version of WEAI, more adaptable to different contexts. Pro-WEAI’s adaptations are critical for being able to better fit the tool to varied situations, to uncover necessary information. Marie Ruel, Director of PHND at IFPRI, noted at the soft launch event in Washington, “If we know where the gaps are in a country or a context, we will be much better able to design interventions that will address those gaps and make a difference.” Caren Grown of the World Bank, who gave the opening keynote at the event, remarked, "[Pro-WEAI] is simpler... I think the qualitative piece will help us in some of the challenges that we had in interpretation. (It) will give us the insights to what specific respondents might have said and what it actually means." The soft launch event gave researchers the opportunity to present the tool to practitioners in the field, and explore opportunities for partnership and further development. The event rolled out with a morning plenary session where different modules of pro-WEAI were presented. Researchers shared the thought process behind the modules, and then answered questions and received feedback. Jessica Heckert, Research Fellow in PHND at IFPRI, detailed the nutrition and health module of pro-WEAI, emphasizing how the adjustments made in this area will allow researchers to delve more deeply into these critical issues. Following the morning plenary, smaller groups dug in to the modules in greater detail, with discussions and brainstorming. Partners were able to raise additional components that might be useful to consider and identify opportunities for future collaboration. Attendees also considered how to build capacity in using the tool, to make it more broadly available. Training and certification ideas are among those in consideration. For more information on pro-WEAI and other versions of WEAI, visit the WEAI Resource Center. Martinez E. 2018. Introducing pro-WEAI: A tool for measuring women’s empowerment in agricultural development projects. Hannan A. 2018. How can you tell if your survey questions work? Using cognitive testing to improve measurement of women’s empowerment in nutrition and health. Martinez E. 2017. Progress in designing and implementing the project-level WEAI. Heckert J and Kim S. 2016. Developing a nutrition-sensitive pro-WEAI. Balagamwala M. 2016. Development of a project-level WEAI begins at the GAAP2 inception workshop. 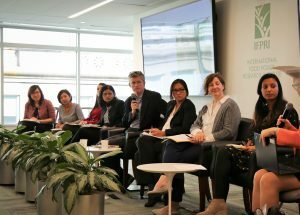 This post is part of a blog, the Gender-Nutrition Idea Exchange, maintained by the CGIAR Research Program on Agriculture for Nutrition and Health (A4NH). To add your comments below, please register with Disqus or log in using your Facebook, Twitter, or Google accounts. You must be signed in or registered to leave a comment.